The National Bank of Ukraine announced financial sanctions against persons involved in the illegal persecution of Ukrainian citizens Nadiya Savchenko, Olexandr Kolchenko and Oleh Sentsov. 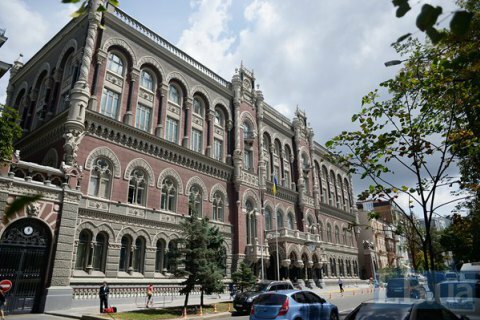 In a decree, the central bank required that banks provide information on the existence of bank accounts and balances on them by 84 individuals from a list approved by the nation’s security council. Late last month, Ukraine introduced sanctions against the persons involved in the unlawful actions against Savchenko, Kolchenko and Sentsov. The list embraces 84 persons, including the head of RF Investigation Committee Alexandr Bastrykin, head of the FSB, Alexandr Bortnikov, head of the Main Investigative Management in the IC Alexandr Shchukin, Russian Deputy Prosecutor-General Viktor Grin, "the prosecutor of the Crimea" Natalia Poklonskaya, judges, prosecutors, investigators, others. Russian President Vladimir Putin is not listed. The sanctions envisage a ban on entry to Ukraine, freezing of assets, ban on withdrawal of capital from Ukraine, suspension of all financial transactions.